Employee motivation, happiness, and productivity often boils down to workplace environment. Though the Department of Surgery has been ranked as one of the top departments in the country for many years, we strongly believe that there is still room for improvement. 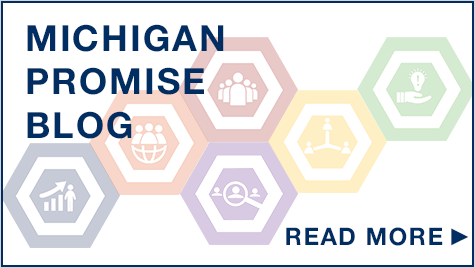 Thus, the Michigan Medicine Department of Surgery made a commitment through the Michigan Promise to ensure that the climate and workplace environment enables all individuals an equal and inclusive opportunity to achieve excellence and increase their scope of academic potential throughout the department. There is no one-size-fits-all curriculum for improving a workplace environment. 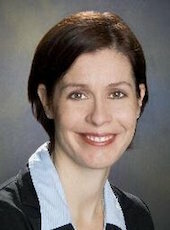 To create an inclusive workplace environment for the Department of Surgery, the department intends to focus on education, data collection and analysis, define core aspects of diversity, create a custom implicit bias training program, implement an explicit strategy to improve equality as it relates to improving inclusion, develop focused deliverables to address diverse needs of individuals to foster a more comfortable environment as it relates to inclusion, and build an exciting year-round program to celebrate our diversity that engages all faculty. The Office of Faculty and Resident Life recently introduced an annual diversity grand rounds series to the Department of Surgery as one of its initiatives.  The purpose of the series is to invite nationally recognized and renowned speakers to engage, as well as challenge, faculty and residents in their traditional thinking about diversity, equity and inclusion. The diversity grand rounds series is designed to raise consciousness, empower, and generate sustained change among faculty and residents. 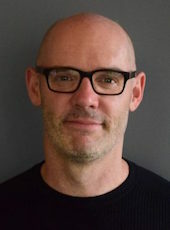 The series began in January 2018 with Scott Page, Ph.D., the Leonid Hurwicz Collegiate Professor of Political Science, Complex Systems and Economics in the College of Literature, Science, and the Arts and Faculty Associate, Center for Political Studies, Institute for Social Research at the University of Michigan. He is the author of The Diversity Bonus (2017). In this publication, Scott Page states that “for teams that perform complex tasks, diversity yields better results”. He also alludes to the fact that good intentions are often not good enough to shift behaviors when it comes to issues of diversity, equity and inclusion. During his grand rounds lecture, Dr. Page shared his passion around the “diversity bonus,” and why, mathematically speaking, teams that are diverse tend to be more productive than those that are not. The second speaker in the series was Caprice Greenberg, MD, MPH, FACS, former President of the Academic Surgical Congress and Professor of Surgery at the University of Wisconsin-Madison, Morgridge Distinguished Chair in Health Services Research, Vice Chair of Research, and Director of the Wisconsin Surgical Outcomes Research Program. Dr. Greenberg's talk was titled “Stop Fixing Women”. She presented an in-depth discussion of some of the inherent inequities that exist in surgery in relation to implicit bias, microaggressions and gender schemas. She wrapped up her talk by sharing specific systemic interventions Departments of Surgery can implement to improve the career paths for women surgeons. The third speaker in the series was Christopher G. Myers, Ph.D. Dr. Myers is an Assistant Professor and Academic Director of Executive Education at the Johns Hopkins Carey Business School, with joint faculty appointments in the School of Medicine and Armstrong Institute for Patient Safety & Quality at Johns Hopkins University. 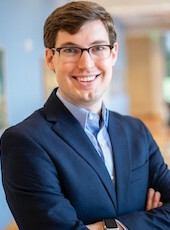 His research explores questions of learning, development, and innovation in organizations, as well as how people learn vicariously from others’ knowledge and experience at work. He focuses in particular on learning in health care organizations and other knowledge-intensive industries. The talk was titled “Leadership in Surgery: What can We learn from organization science?”. Dr. Myers shared many ways in which the discipline of surgery can learn from other non-medical disciplines. He challenged the notion that surgeons need to be experts in leadership development only from a clinical perspective. The forth speaker in the series will be Marc Nivet, Ed.D., M.B.A, former Chief Diversity Officer and member of the executive leadership team of the Association of American Medical Colleges (AAMC) in Washington, D.C. (The AAMC represents all 145 accredited U.S. medical schools and nearly 400 major teaching hospitals in the US.) 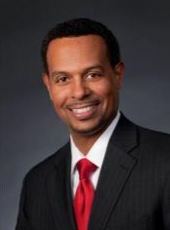 He is currently the Executive Vice President for Institutional Advancement at the University of Texas, Southwestern. Dr. Nivet, in his position at AAMC, visited well over 136 academic medical centers across the country. On December 20, 2018, he plans to share some of what he learned and observed in a talk titled “Community engagement, diversity, and health equity in medical education” to the Department of Surgery and Anesthesiology. 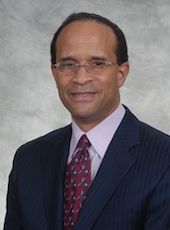 The final speaker in the diversity grand round series will be Edward Eugene Cornwell III, M.D., FACS, FCCM, FWACS. Dr. Cornwell is the LaSalle D. Leffall, Jr. Professor and Chairman of the Department of Surgery at Howard University College of Medicine. Dr. Cornwell’s career interest is in the prevention, treatment, and outcome disparities of traumatic injuries, and their critical care sequelae. On January 31, Dr. Cornwell will deliver the inaugural Asa Yancey, MD Lectureship Series. Dr. Yancey graduated from the University Michigan Medical School and went on to become the first African American surgeon to teach at Emory University in Atlanta. The Office of Faculty and Resident Life is very excited about enhancing the cultural climate and workplace environment in the Department of Surgery. We plan to host follow-up conversations through a Lunch and Learn series after the upcoming speakers. Please let us know if there are interesting and dynamic speakers you would like to have as part of the Diversity Grand Rounds series in the future. We are interested in moving forward together, so that the success of the series will have a positive impact throughout our workplace environment.